It seems like a completely different age but 2011, if you can recall, was ruled by Jay Z and Kanye West’s joint effort Watch The Throne. The sound of the summer was definitely ‘N***as in Paris’ and while it was heard pretty much everywhere, it still gets people a little tongu-tied—either because they feel some type of way about actually singing along or they still don’t really know the words. The creative peeps at The Interns have taken it upon themselves to put together a family-friendly illustrated version of the song, just to help us all out. 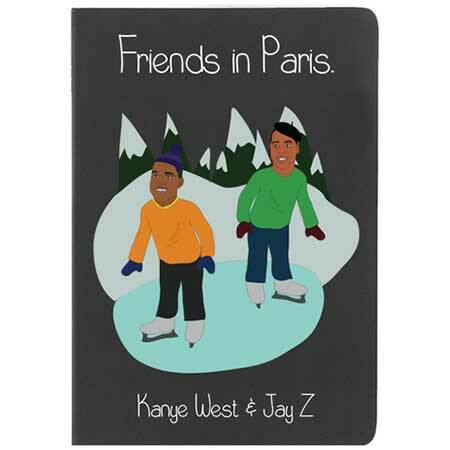 The narrative follows the trajectory of the song, pulling key lyrics and placing them in the context of Jay and Ye’s friendly French escapades. Beyoncé and Kim Kardashian make an appearance, of course, as well as Drake and Taylor Swift. The best part is they’ve started a Kickstarter to make the book IRL so if you’re feeling generous, you can help bring the valuable tale to bookshelves worldwide. Take a look at some of the storybook pages in our gallery above and check out the full project here.